The materials on this website have been prepared by Elkind Alterman Harston PC for general informational purposes only. These materials do not, and are not intended to, constitute legal advice. The information provided at this website is not privileged and does not create an attorney-client relationship with Elkind Alterman Harston PC or any of the firm’s lawyers. The act of sending an e-mail to Elkind Alterman Harston PC or any attorney at this firm, or submitting a form response or other materials through the website, will not create an attorney-client relationship. If you are not currently a client of Elkind Alterman Harston PC, your e-mail will not be privileged or confidential and may be disclosed to third persons. This website is not an offer to represent you. You should not act, or refrain from acting, based upon any information on this website. The hiring of a lawyer is an important decision that should not be based solely on written information about qualifications or experiences. We are committed to protecting the confidentiality of your information and delivering high quality services. Any information you provide via this website will be used to identify your legal needs and to determine whether we can provide service to you. We will store the information you provide on secure servers, and access to it will be restricted to Elkind Alterman Harston PC’s employees and agents. We will not rent, sell or trade your personal or organizational information to others. We reserve the right to make changes to this policy from time to time. However, any revisions to our policy will apply only to information provided to Elkind Alterman Harston PC after the date of the change and we will not use any information you have submitted to us in a manner that is inconsistent with the policy described above. Changes in policy will be posted on this website. By providing information to us via this website or otherwise communicating information to Elkind Alterman Harston PC, you are not establishing an attorney-client relationship and the information you provide to us will not be afforded legal protection as an attorney-client communication. This means that while Elkind Alterman Harston PC will protect the confidentiality in accordance with the policy described above, the information you provide is not protected under the laws relating to attorney-client privilege and Elkind Alterman Harston PC may be compelled to disclose information you provide in certain legal proceedings. 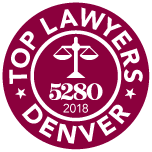 Accordingly, you should not provide any information concerning your legal needs that you wish to be protected by the attorney-client privilege. In some jurisdictions this site may be considered advertising. The hiring of an attorney is an important decision that should not be based solely upon written information about the qualifications or experience of that attorney. Elkind Alterman Harston PC’s attorneys endeavor to comply with all legal and ethical requirements. Attorneys are only certified and licensed in those jurisdictions specified in individual attorney biographies. Elkind Alterman Harston PC does not wish to represent anyone desiring representation based upon viewing this website in a state where this website fails to comply with all laws and ethical rules of that state or where our attorneys are not permitted to practice law. The attorney work-product and other legal content included in this website is provided “as is” and neither Elkind Alterman Harston PC nor any of its attorneys make any warranty (express or implied), representation or guarantee with respect thereto. Certain content is maintained by sites other than Elkind Alterman Harston PC, and Elkind Alterman Harston PC is not responsible for such content. Elkind Alterman Harston PC’s attorneys are not creating an attorney-client relationship by providing legal content or other information on this site. Third party resources that can be accessed with hypertext links from this site are not under the control of Elkind Alterman Harston PC, and Elkind Alterman Harston PC is not responsible for any of these third party resources. The third party hypertext links presented on this site are provided for your convenience only. The inclusion of any link on this site does not imply any recommendation, approval, or endorsement of that site by Elkind Alterman Harston PC or any of Elkind Alterman Harston PC’s attorneys. These links are not intended to state or imply that Elkind Alterman Harston PC sponsors, affiliates, or associates are legally authorized to use any trade name, registered trademark, logo, legal or official seal, or copyrighted symbol that may be reflected in the links. This site, and all information available on or accessed through it, is provided “as is.” Elkind Alterman Harston PC makes no warranties, representations, or claims of any kind concerning the information presented on or through this site. Elkind Alterman Harston PC is not responsible for any loss, injury, demand, claim, liability, or damage of any kind and nature, whether known or unknown, suspected or unsuspected, disclosed or undisclosed, arising from use of the site, whether from errors or omissions in the content of this site or any other linked site, the site being down, or any other use of the site. 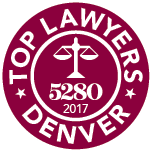 Elkind Alterman Harston PC is located at 1600 Stout Street, Suite 700 | Denver, CO 80202. Telephone: (303) 736-6650. The administrator responsible for this website is Barbara Ingram.